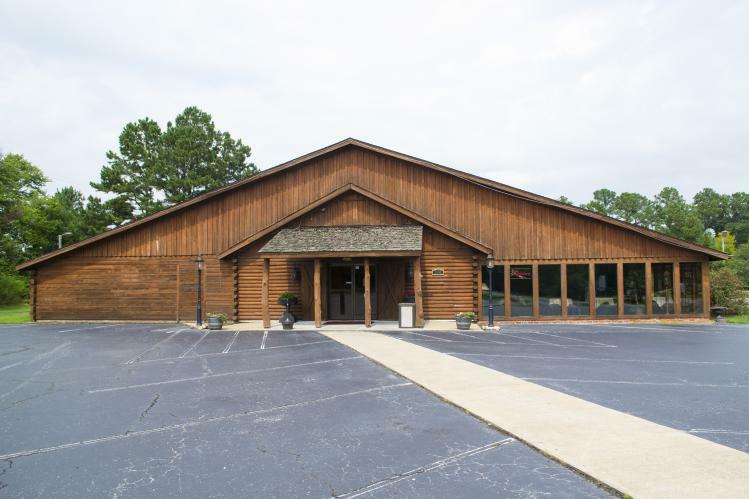 Becky’s Log Cabin Restaurant opened in 1977 in Smithfield, NC off Exit 95 on I-95. It was a popular spot for locals and a favorite stop for frequent highway travelers looking for southern cooking. Owner Becky Guin opened the place with her late husband and soon they found themselves so full of dining patrons that they considered opening a motel. “There were not many places to stay around here back then and so we opened a 30-room motel right next to the restaurant,” said Mrs. Becky when I sat down to talk to her about her recent re-opening of Becky’s Log Cabin Restaurant & Motel. Just 5 years later the Guin’s found themselves opening up 30 more rooms to the motel thanks to demand. Since that time the property and Becky herself have gone through both wild success and heart-breaking setbacks. The restaurant and motel have flooded 3 times, the most recent being during Hurricane Matthew. Each time, after an almost total loss, Mrs. Becky emerges from the other side with both her property and fortitude restored. 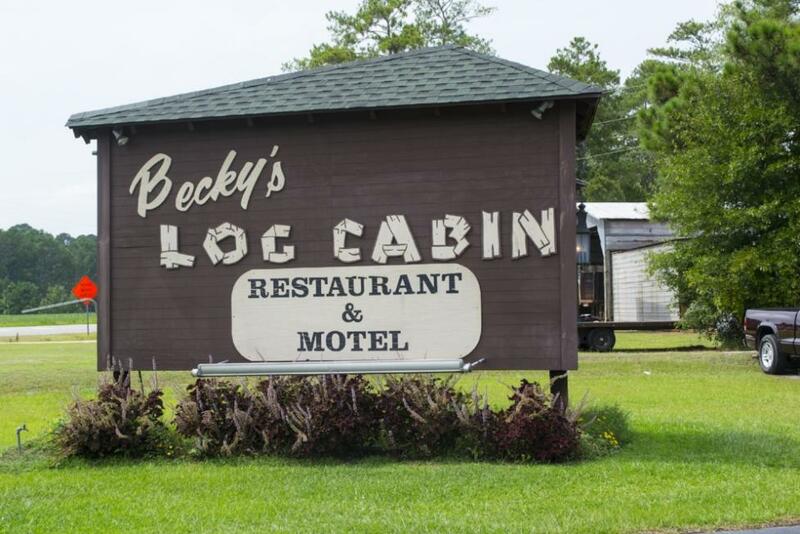 It’s important to understand that Becky’s Log Cabin isn’t just another oddity on the side of I-95, breaking up the monotony of fast-food chain logos on those blue interstate signs. Becky’s is an established part of Johnston County and Smithfield’s heritage, linking locals to the past. I know a couple from Kenly that got engaged at Becky’s Log Cabin Restaurant, right in front of the beautiful stone fireplace. On their 25th anniversary they came back to Becky’s to remember the moment when they both decided to commit their lives to one another. “I’ve done a lot of engagements and weddings. It leads to repeat business because they can come back to the place where those memories reside,” and Mrs. Becky also mentioned that she does birthday parties, class reunions, and business meetings. As of this August Becky’s Log Cabin opened again after repairing damage from flood number 3. I naturally asked why, after 40 years, does she keep reopening? Her answer was, “because this is my home. I like to be around people”. Because this is my home. That was the phrase that stuck with me. Who among us can’t understand that sentiment. One of the things I love most about my job is that Johnston County is my home, has always been my home. There is nothing like the hospitality of someone who has opened their home to you. To Mrs. Becky, the restaurant and the motel are not just a business and to the locals who dine there and the travelers that stay there it feels more welcoming because of that. Becky’s Log Cabin sees repeat travelers and visitors from Florida, Maine, Texas, and Quebec. 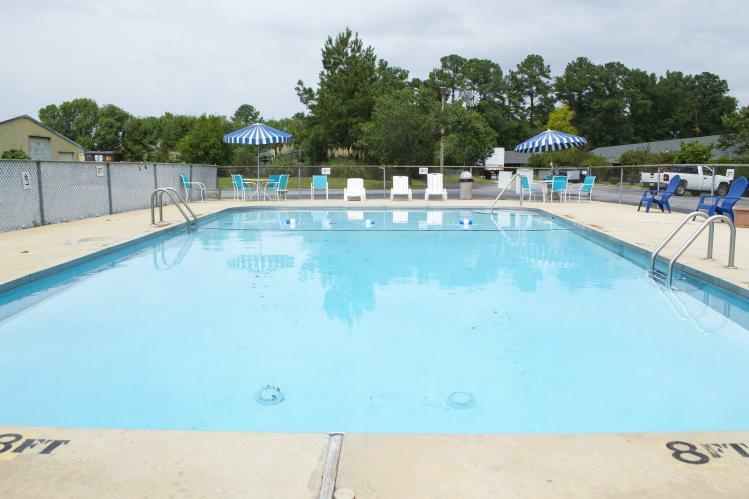 Each room comes with a continental breakfast as well as access to the seasonal pool and fishing pond. The restaurant is open Tuesday through Saturday from 5PM to 9PM and till 10PM on Friday and Saturday nights with the bar staying open for karaoke until 1AM. It’s a good time had by all and certainly prime people-watching. There will be a party to celebrate the 40th anniversary of this JoCo establishment on the 10th of November. Stay tuned to the Facebook page for more details as it approaches. Mrs. Becky says you’re all invited, and opening a business for the 4th time is certainly something to celebrate. That’s 40 years of engagements and weddings and good times and sheltered travelers. Let’s all hope that the waters don’t rise again and that Becky’s Log Cabin will be around for years to come. I guess maybe it’s true what they say… hope does float.